Zions Hill is a place where heaven touches earth. We are a people from all walks of life who come together with a common goal and purpose - to see Gods Kingdom revealed and expanded both locally and globally. The heart beat of Zions Hill is to worship the Lord in response to His magnificent love for us and to be transformed into His image. 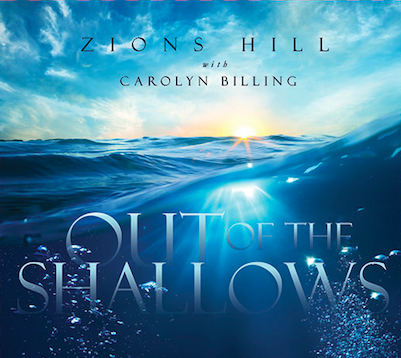 Out Of The Shallows is Zions Hill's latest Live recording from the 2015 Prophetic Worship Event. You will be greatly impacted by this double CD that includes many powerful songs written in house as well as beautiful spontaneous moments captured during the worship. Carolyn Billing and The Zions Hill Team were joined by Mayya Musaeva (a Concert Master Violinist from Uzbekistan), Brian Longridge (a Concert Pianist from Ireland) and Ettikai Reuben (Rebus- playing the Didgeridoo) and Simon McLean, both from Australia. May you be greatly blessed as you encounter God's heart through this music! Join us for our Harp and Bowl Training Nights!!!! Every Wednesday night @ 7.30pm in the Harp and Bowl room, next to the Caretakers unit. 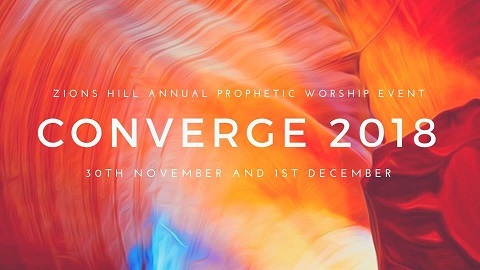 These nights are setting the foundation for our 24/7 Prayer and Worship that will eventually be in the Prayer House level of our Conference Centre.